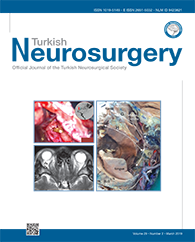 3Provincial Clinical College of Fujian Medical University, Fuzhou City, Fujian Province, China DOI : 10.5137/1019-5149.JTN.21497-17.2 AIM: To reveal the potential relationships and interactive effects between frailty and body weight and adverse surgical outcomes for degenerative spinal disease. MATERIAL and METHODS: Patients who underwent open surgery for degenerative spinal disease in our hospital were included. Data on the patients and disease variables was obtained. The primary independent variables included body mass index (BMI) and modified Frailty Index (mFI). The primary outcome was the Clavien-Dindo complications classification. After univariate analyses, multinomial and ordinal regression analyses were applied with the Clavien-Dindo complications grade as the dependent variable and the potential risk factors for complications as independent variables, respectively, to determine the potential interactive relationship between the two primary risk factors and their impact on postoperative complications grading. RESULTS: A total of 1970 patients were included in the study. The results showed that "underweight" could significantly increase the odds ratios of "prefrail" and "frail" at the same time; however, "obese" could only increase the odds ratio of "frail". The "underweight", "obese", "prefrail" and "frail" subgroups could significantly increase the grading of postoperative complications, respectively. If mFI and BMI were combined as an interactive variable, the results showed that in the "underweight" and "normal weight" subgroups, both "prefrail" and "frail" could significantly increase the grading of postoperative complications; however, in the "overweight" and "obese" subgroups, only the "overweight/frail", "obese/non-frail" and "obese/frail" subgroups displayed significantly increased grading of postoperative complications.